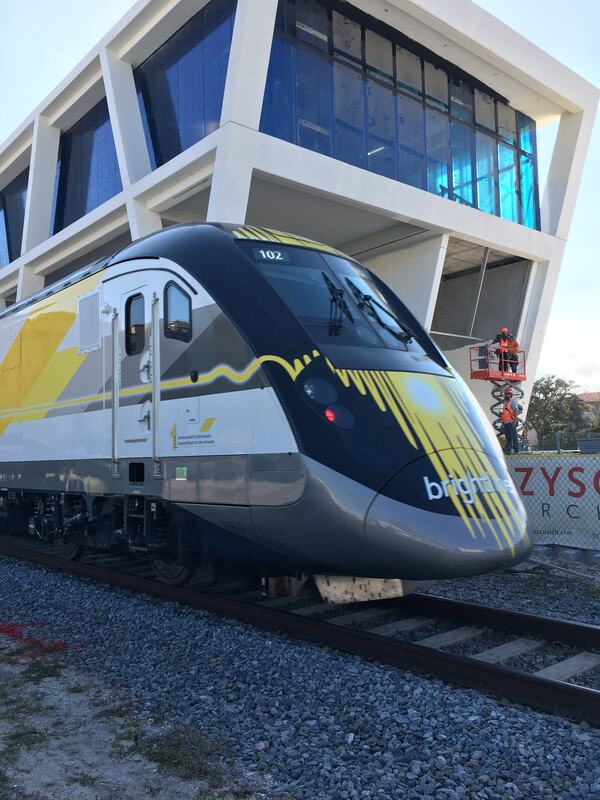 Virgin Trains U.S.A., formerly Brightline, could serve Tampa sooner than expected. The company had planned to expand its high-speed rail service, which is already operating in South Florida, from West Palm Beach to Orlando by late 2021 and then eventually from Orlando to Tampa. Now the company hopes to combine some of those two phases into one. The route would provide trips from Tampa to Orlando in just one hour at speeds in excess of 125 miles per hour. A trip from Tampa to Miami through Orlando would take about three hours, O’Malley said. The company is currently working with the Florida Department of Transportation on securing the right of way along Interstate 4 that had been dedicated for publicly-funded high-speed rail that Governor Rick Scott rejected in 2010. O’Malley said funding is mostly in order to move forward with the project. The company sold $600 million in bonds and secured more than $1 billion in subscriptions to fund the South Florida portion of its project. They plan to follow a similar model for the West Palm to Orlando and Orlando to Tampa legs including an already secured authorization to sell $1.75 billion in bonds. Virgin will also consider a potential stop in Lakeland or Plant City with less frequent service depending on market demand, O’Malley said. He touted the project as a potential huge economic development opportunity for Tampa. In Miami, two new Class A Office buildings and two residential towers went up around the station as well as 160,000 square-feet of retail and restaurant space. That development creates long-term jobs within the community above and beyond the temporary jobs created during construction. Florida Senator Tom Lee who earlier in the day questioned the financial value in publicly funded commuter rail service in Tampa, asked O’Malley if he knew of any other private ventures in the United States that were providing intra-city service. O’Mally said there weren’t any that he was aware of, but that the company would be happy to have conversations about a successful business model if there were other groups considering such service.